Day 3 dawns. Almost. Autumn’s chilly fingers extend across the landscape and smart people stay indoors, cranking up the central heating. Cream-coloured beef cattle huddle in frost-powdered fields, watching with characteristic bovine disinterest as two crazy, blue-lipped cyclists pass by. 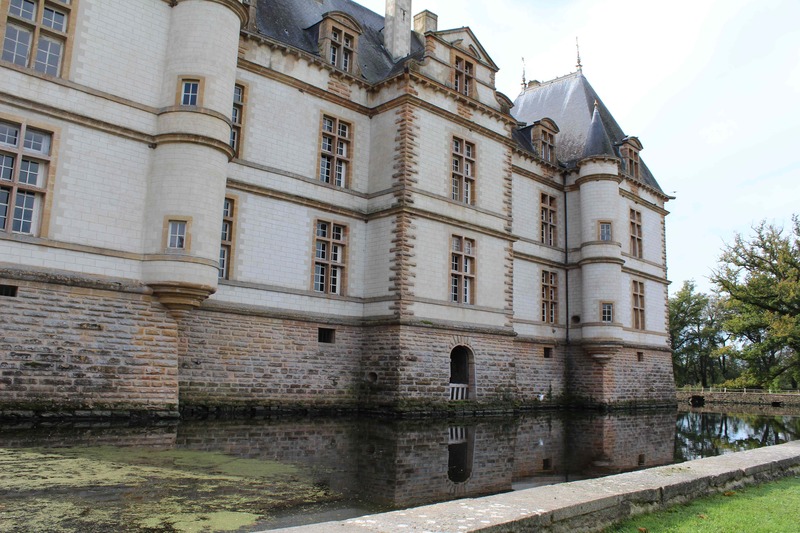 It doesn’t take much convincing to take a detour for a guided tour through the Chateau de Cormatin, a magnificently restored castle in Bourg. Afterwards, we stop for a quick bite in the town, disturbing the grumpy old woman taking a ciggy-break behind the bar. She serves us with nicotine-stained fingers and a bad attitude. We don’t hang around long – which is probably the intention. As we begin the second half our our journey, the sun bursts through the hazy clouds. It’s one o’clock. Who let the dogs out…? We’re happy to arrive in Cluny, to stretch our legs, give our butts a rest…and gape at the lion-esque dogs that are out in force. 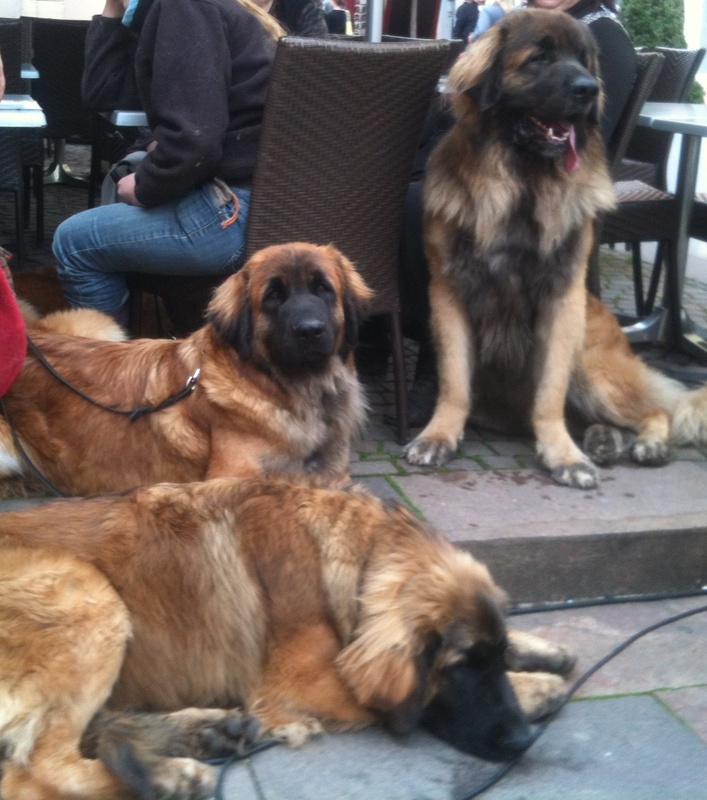 There’s a Leonberger club meet here this weekend and they are everywhere. Yes, even at dinner in our posh hotel restaurant. And it’s not like you can sneak these pooches through the door in your handbag. In the candlelight, the dish looks harmless enough. Like something coated in neopolitan sauce. EB could have mentioned that shaved beef is actually raw beef – except he wouldn’t get the last laugh. But in the absence of a Leonberger dinner companion, he has to eat mine so we don’t offend the chef. Ha! Who’s laughing now? Raw victuals aside, the meal and the service are superb. Flawless presentation is one of the many things the French do so well. So impressive. Which will be us tomorrow, cycling the last and longest chilly, hilly stage of our trip… Now, where’s that nurofen? This entry was posted on Sunday, October 14th, 2012 at 2:55 am	and tagged with Burgundy, chateau, cycling, dogs, vacation and posted in France, Travel, Uncategorized. You can follow any responses to this entry through the RSS 2.0 feed.